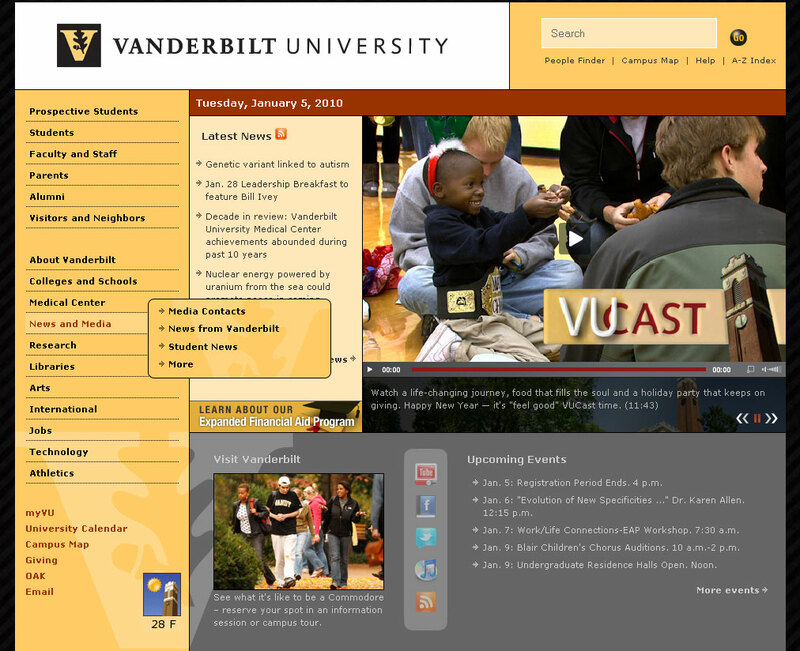 2009: The homepage was tweaked to showcase the university’s increasing use of video and social media, and Undergraduate Admissions has increased exposure. The navigation presentation was altered to make it easier to read and to find related content. The weekly VUCast newscast now appears in the photo rotation on the homepage and plays in a much larger player than in the past; photos continue to be showcased in this space. Controls have also been added to this section to allow users to pause, advance or go back through the slideshow.